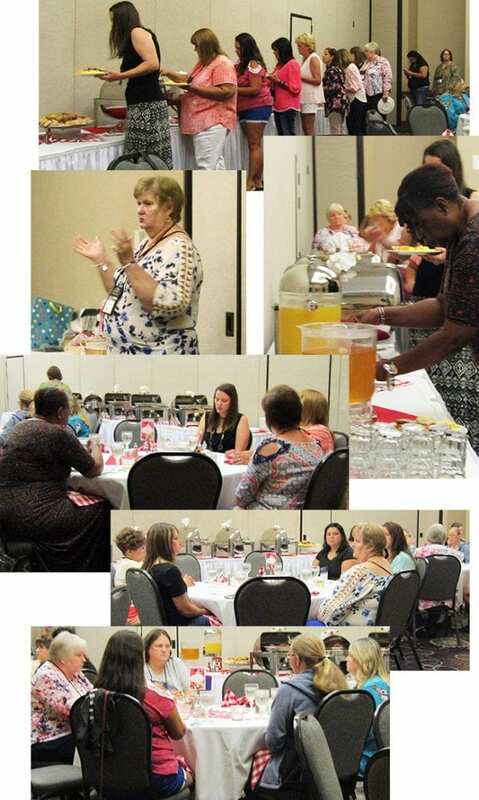 On August 11th, 2017, the Oklahoma Sheriffs’ Association hosted a brunch event for Sheriffs’ Office employees’ spouses and the women of the Sheriff’s Offices. The event is an opportunity for fellowship and friendship as spouses and women of the Sheriffs’ Offices from across the state interact and get to know one another. This year, Sheriff Margarett Parman (Ret.) of Blaine County hosted our attendees and spoke of her own experiences in the Sheriff’s Office and the benefits of staying connected among counties. Door prizes were given away and each attendee left with a gift. However, Sheriff Parman (Ret.) walked away with the grand prize of a topaz ring, donated by Grady County Sheriff’s Office. This entry was posted on Friday, August 18th, 2017 at 2:49 pm and is filed under Uncategorized . You can follow any responses to this entry through the RSS 2.0 feed. Both comments and pings are currently closed.